HARRISON, N.J. — Sacha Kljestan could not have planned it any better. 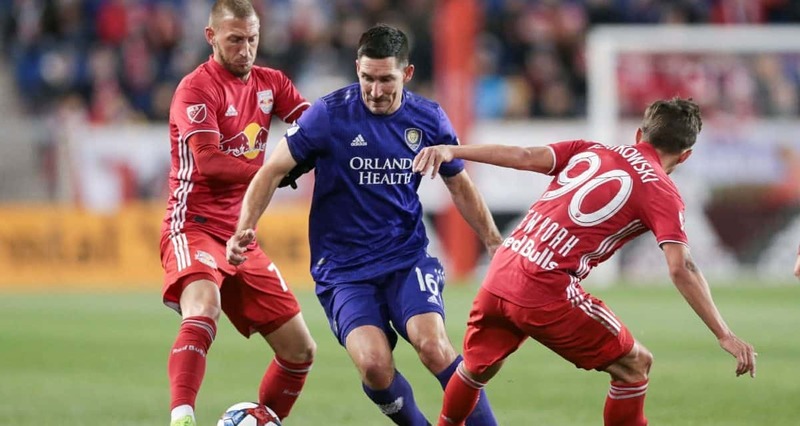 Playing against his former teammates, the Orlando City SC scored the lone goal of the match in the 74th minute to boost his side to a 1-0 victory over the Red Bulls at Red Bull Arena Saturday. 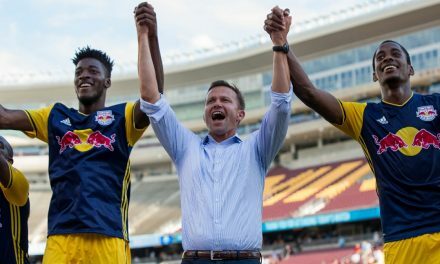 The result had to make the former Red Bulls captain quite happy, considered the Red Bulls traded him to Orlando City in exchange for Carlos Rivas and Tommy Redding last year. Kljestan slotted home a João Moutinho feed from about 12 yards on the right side of the penalty area into the lower right corner past goalkeeper Luis Robles. 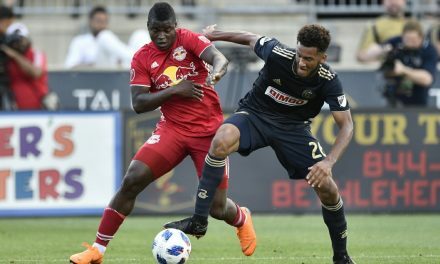 The Red Bulls (1-1-1, 4 points) suffered their first defeat of the MLS season while Orlando (5 points) earned his first win and improved to 1-1-2. 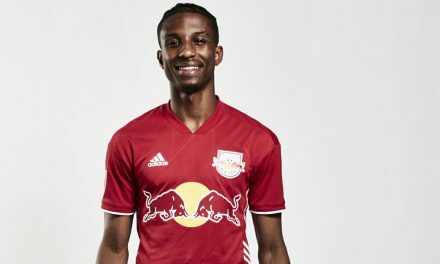 It also was the Red Bulls’ first loss at home in league competition since a 3-2 setback to Columbus Crew SC July 28, 2019. It turned out to be an emotional result for both sides. Red Bulls head coach Chris Armas hugged Kljestan while New York captain Luis Robles argued with game officials afterwards and wound up getting yellow carded by referee Allen Chapman for dissent. Due to international commitments and injury, the Red Bulls deployed a Starting XI without several regulars. That included center back Aaron Long (U.S.), right back Michael Amir Murillo (Panama), left back Kemar Lawrence (Jamaica) midfielder Kaku (Paraguay), who were playing with their respective national teams. Midfielder Florian Valot (knee) has been sidelined for an undetermined time. Lawrence, a member of the 2018 MLS Best XI team, hasn’t played this season, but has been a vital member of the backline for several years. The Red Bulls suffered a tough break in the 26th minute when left back Connor Lade was forced from the match with a leg injury, quite possibly hurting his hamstring. Lade hobbled to the locker room with the help of two members of the coaching staff. 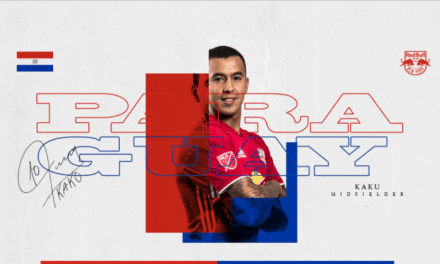 Midfielder Omir Fernandez replaced the former St. John’s University standout as mid Alex Muyl was moved to Lade’s left back spot. The opening half was not much to write home about. Both sides attacked but could not solve the opposing backline. Muyl probably had the Red Bulls’ best chance six minutes into the match as goalkeeper Brian Rowe saved his header from six yards. Red Bulls center back Amro Tarek made a head’s up play on former Orlando teammate Sacha Kljestan, knocking away his close-range attempt on the right side in the 43rd minute. Orlando finally made goalkeeper Luis Robles earn his pay as he made a nice kick save on Ruan’s shot in the 52nd minute. Only two minutes after Kljestan tallied, Daniel Royer almost equalized for the hosts as his header, off a Marc Rzatkowski free kick was cleared off the goal line by Carlos Ascues in the 76th minute. Red Bulls striker Bradley Wright-Phillips was hardly a factor in the match.